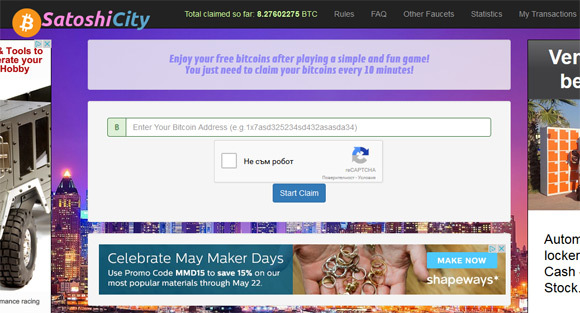 The Satoshi City is a Bitcoin faucet service that awards visitors between 150 and 50000 satoshi, depending on your luck, every 10 minutes. 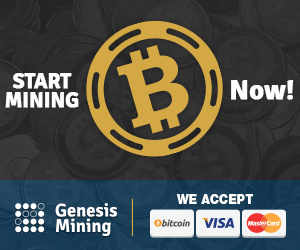 The faucet pays out directly to your Bitcoin wallet address, you need to collect at least 10000 satoshi in your account in order to request a payout. 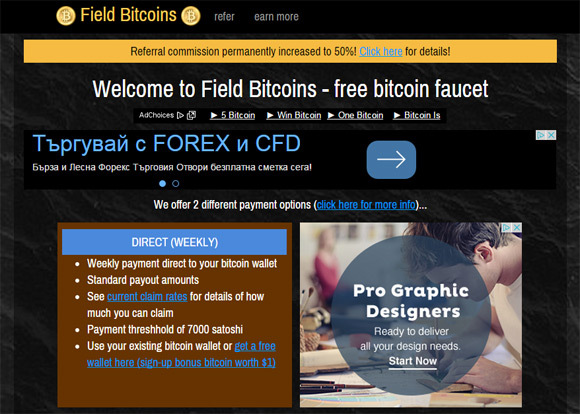 The Field Bitcoins is a Bitcoin faucet with a difference, because here you decide how often to claim and how much you get paid also depends on how often you claim your Bitcoin reward from the faucet. Whereas most faucets only allow you to claim once per hour or once per day, here you to claim as often or as little as you like starting from every 5 minutes up to 4 weeks per claim. The faucet will gradually fill up – quite quickly initially but it will slow down over time – until you make a claim. So the longer you leave it the more you will be able to claim. 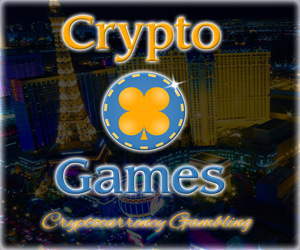 You can see the chart with what you can earn form the faucet using both payments methods and with the different time you decide to claim your rewards at. 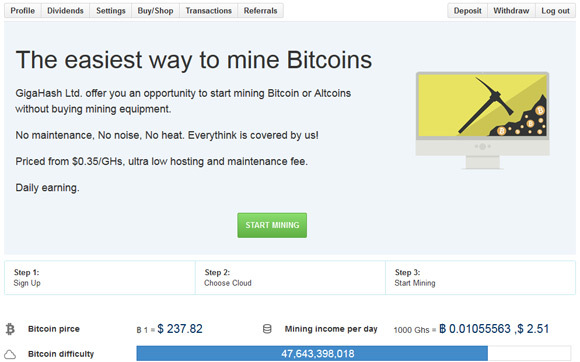 The best thing here is that you don’t need to visit as often as every 5 minutes to maximize your profit, you can claim just once per day or every few days and you will still get more satoshi. Furthermore you can also refer your friends to the Field Bitcoins faucet and receive a massive 50% lifetime commission on all their faucet claims. 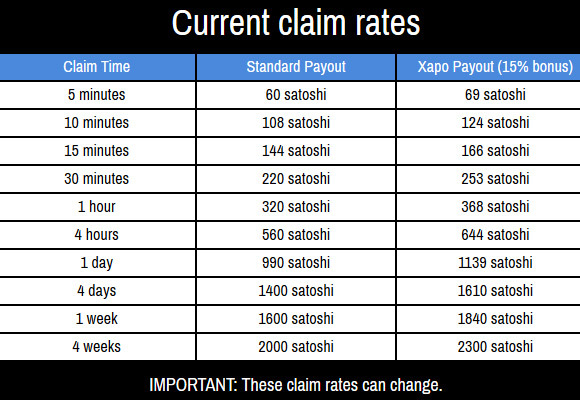 All bonus commission payments are paid to you either instantly (via Xapo) or added to your balance and paid out weekly directly to your Bitcoin wallet weekly on Sunday, providing your balance at that time is at least 7000 satoshi.